I am going to Philadelphia again this year (I try to visit every year). I lived there for the first 22 years of my life. Even though I have spent more that 40 years in California, I still feel like a Philadelphian. I certainly still sound like one! 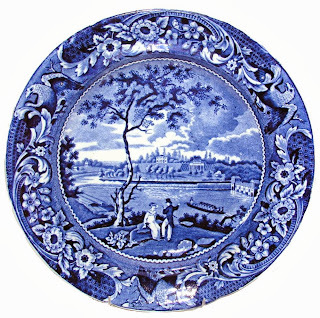 Although I don't generally collect tranferware printed with American historical views, I do collect Philadelphia views (or at least the more common and less expensive items). 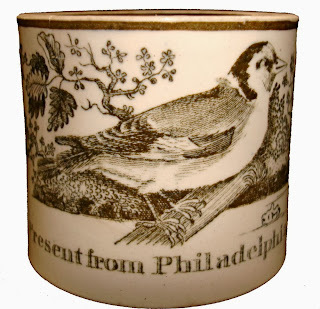 The Transferware Collectors Club shows 33 Philadelphia patterns (two more than last year) in its Pattern and Source Print Database, but I shall show you three of my favorites. 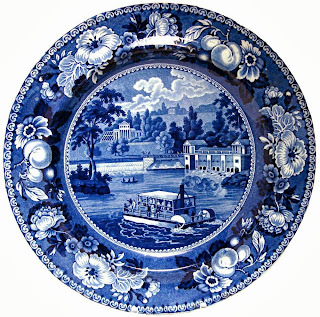 I shall also show some views of Delaware, where the TCC is spending a day at the Winterthur Museum as part of its 15th annual meeting. 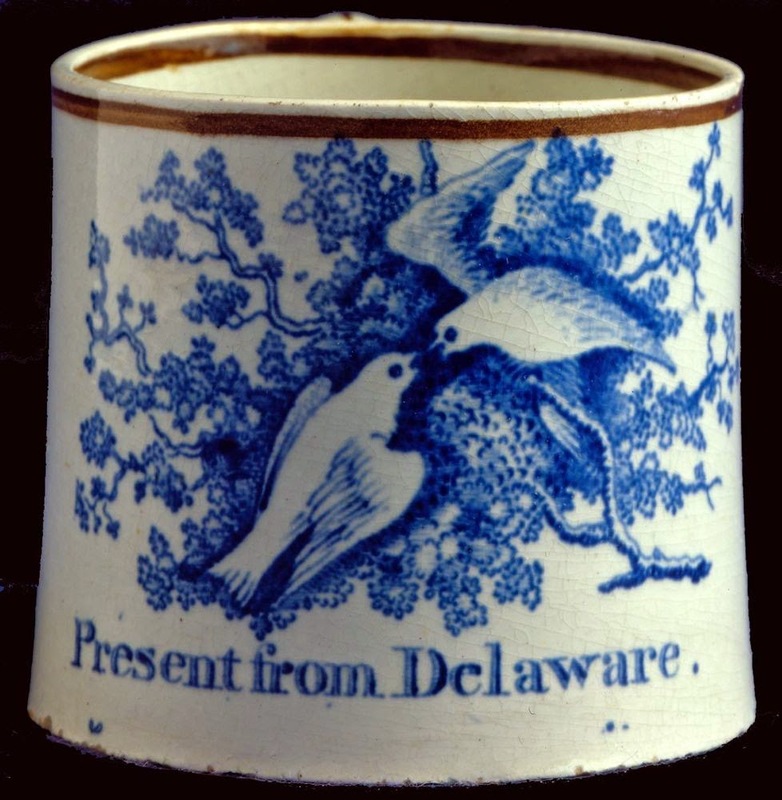 Here are some Delaware patterns. 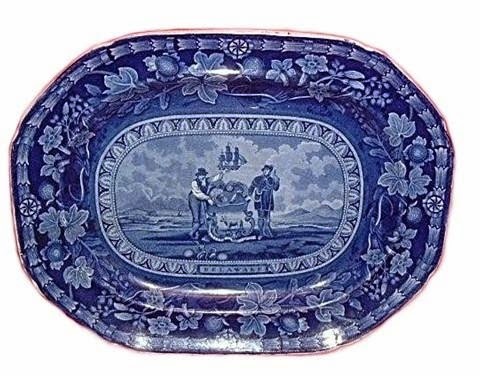 Thomas Mayer (1826-1838) Arms of Delaware 17 by 13 inch platter, ca. 1825/This pattern is one of twelve in the Arms of the States Series. New Hampshire, one of the thirteen original states, has never been found. 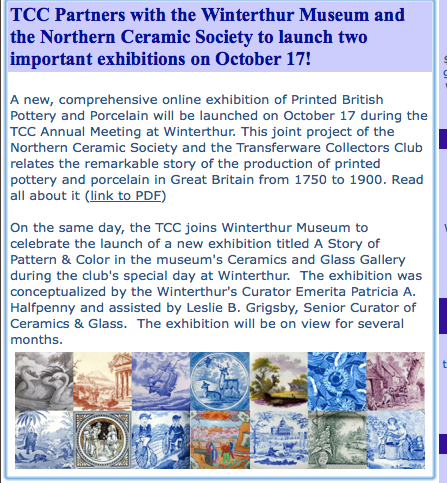 Below is a screen shot from the most recent TCC newsletter that highlights two of the exhibitions that will open in conjunction with the TCC annual meeting. The online exhibition will be available to view by all of you on October 17. Read about the upcoming transferware exhibitions!